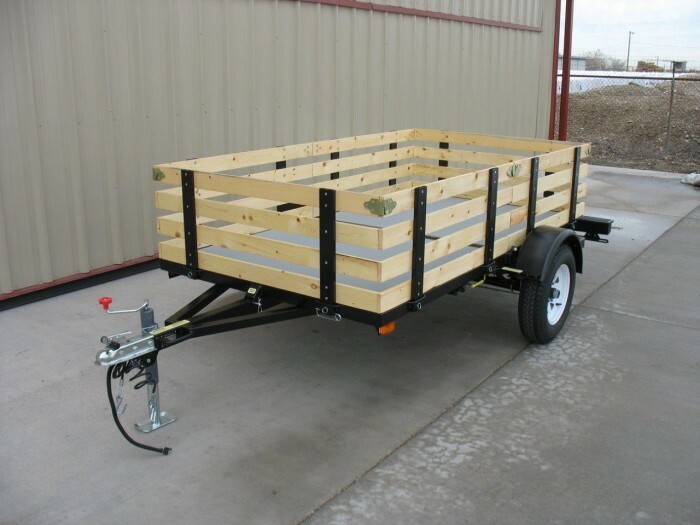 A folding trailer may include a front deck and a rear deck that may be folded together into a compact configuration. The trailer may include a folding mechanism having a support base on opposing sides of the trailer. 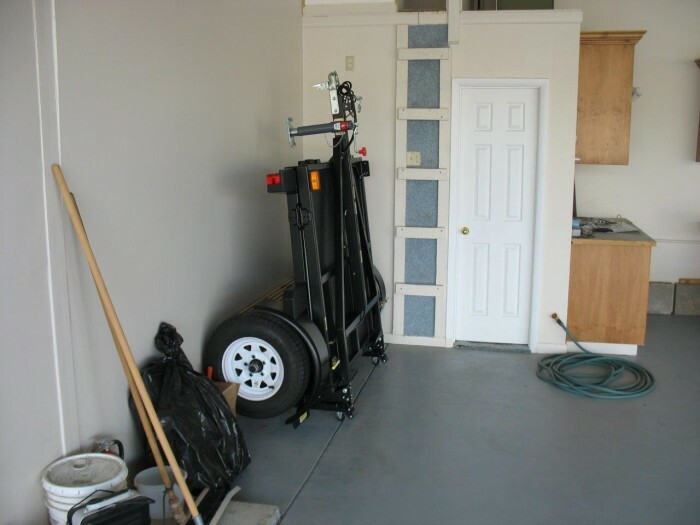 The support base may include one or more casters for supporting the trailer in a folded configuration and allowing the trailer to be easily moved. The folding mechanism may include a linkage structure which moves the support base into position when the trailer is folded and facilitate folding of the front and rear decks together. This type of trailer can be folded quickly and easily, and then moved to an out of the way location. 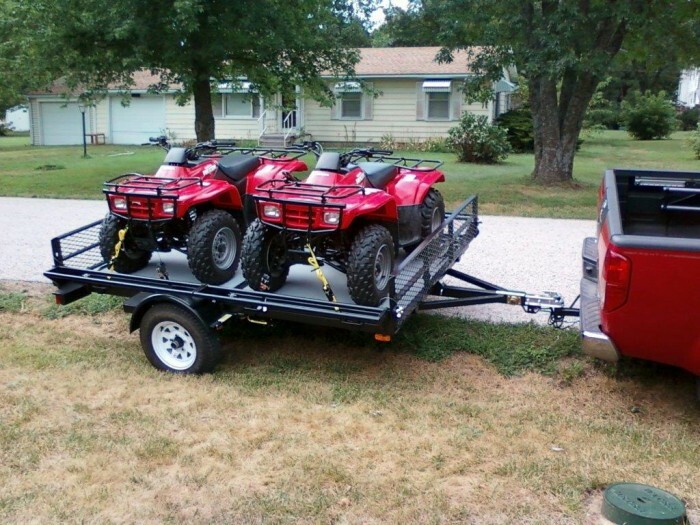 When unfolded It can be used to carry all terrain vehicles such as ATV's and UTV's, motorcycles and golf carts. They can also be used to carry lawn and garden equipment and supplies like lawn mowers and tillers or mulch and potting materials. Construction equipment and supplies can be transported to the job site, minimizing required trips. 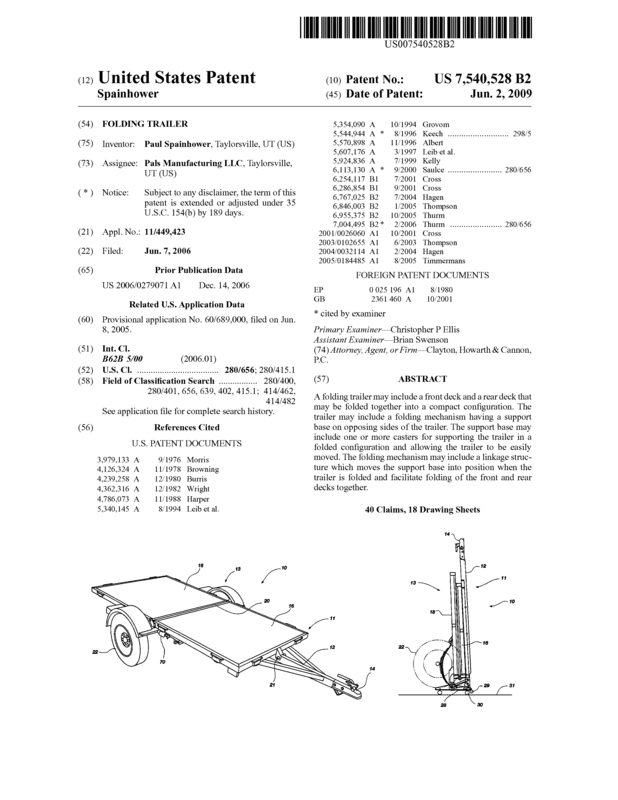 Page created at 2019-04-26 6:21:48, Patent Auction Time.